Part Number: H6024BL. Established in 1959! Be Sure To Research Applicaton Before Buying. Part Number: D1S. Established in 1959! Note for Headlight: H4 to H13 adapter is required for 07-Up Jeep JKs. Halo Angle Eyes LED in White & Amber (Wiring required) uses for Turn Singal, & DRL Lamp. Any Harley Davidson models with 7" headlight. BP1255/H7:Headlight Bulb(High Beam),2 pcs. D1S:Headlight Bulb(Low Beam),2 pcs. 3457NA:Turn Signal Light Bulb(Front),2 pcs. After sale. Other Auto Parts. LED Lights. Shocks&Struts. Brakes Disc. HAVE BEEN TESTED AND DO WORK. Part Number: H6024. Interchange Part Number : H6024, 211-0154. Part Numbers: 211-0154, H6024. MFG Model # (Series) : H6024. Key Search Words - 2000 : 6024, Halogen, Sealed Beam, Headlamp, Par 56, 7" Dia, Low and High Beam, Type 2D1. BPH7BLX:Headlight Bulb(High Beam),2 pcs. BPH7BLX:Headlight Bulb(Low Beam),2 pcs. BPH11BLX:Fog Light Bulb(Front),2 pcs. Light Bulbs. 2011-2013 SUZUKI KIZASHI. Monroe Shocks&Struts. 2006-2009 VOLKSWAGEN BEETLE. 1995 LAND ROVER RANGE ROVER(25th Anniversary Edition). 1995 LAND ROVER RANGE ROVER(SE). 1996-2002 LAND ROVER RANGE ROVER. BP9005ND:Headlight Bulb(High Beam),2 pcs. BP9003ND:Headlight Bulb(Low Beam),2 pcs. 1995 LAND ROVER RANGE ROVER(25th Anniversary Edition). 1995 LAND ROVER RANGE ROVER(SE). 1996-2002 LAND ROVER RANGE ROVER. BP9005BLX:Headlight Bulb(High Beam),2 pcs. BP9003BLX:Headlight Bulb(Low Beam),2 pcs. 2003 Land Rover Range Rover. 2005 Land Rover Range Rover. 2004 Land Rover Range Rover. Position: Low Beam. Ensure Proper FitTo confirm that this part fits your vehicle, enter your vehicle's Year, Make, Model, Trim and Engine in the Compatibility Table. Part Number: BPH1BLX2. MFG Model # (Series) : BPH1BLX2. Bulb Type : T-2 1/2 BULB 5/16 (8.5mm) Dia. Bulb Base Type : P14.5s. Bulb Color : Clear. Bulb Technology : Halogen. Compatible Bulb Number : H1. Google class path : Vehicles & Parts>Vehicle Parts & Accessories>Motor Vehicle Parts>Motor Vehicle Lighting>Vehicle Headlights. BP1255/H7LL:Headlight Bulb(High Beam),2 pcs. D1S:Headlight Bulb(Low Beam),2 pcs. 3457NALL:Turn Signal Light Bulb(Front),2 pcs. After sale. Other Auto Parts. LED Lights. Shocks&Struts. Brakes Disc. Part Number: H6024BL. MFG Model # (Series) : H6024BL. Bulb Technology : Halogen. Google class path : Vehicles & Parts>Vehicle Parts & Accessories>Motor Vehicle Parts>Motor Vehicle Lighting>Vehicle Headlights. Part Number: BPH1BLX2. Warranty Duration:Other. We Love Auto Parts, and we Love You. set of 2 LED headlight bulbs Release date: April 1st, 2018 --- [ ] (https://www.ebay.com/itm/Alla-Lighting-1156-54-LED-Brake-Tail-Center-High-Mount-Stop-Light-Bulb-Lamp-RED-/183114434529) --- [ ] (https://www.ebay.com/itm/Alla-Lighting-8000lm-9006-LED-Headlight-Low-Dipped-Main-Beam-Light-Bulbs-Lamps-/183152968960) --- [ ] (https://www.ebay.com/itm/Alla-Lighting-8000lm-H4-LED-Headlight-High-Low-Beam-Light-Bulbs-Lamps-White-/183153074457) --- [ ] (https://www.ebay.com/itm/Alla-Lighting-2x-9012-HIR2-8400lm-6500K-LED-Headlight-Bulbs-High-Low-Beam-White-/183104622116) --- [ ] (https://www.ebay.com/itm/Alla-Lighting-8000lm-9004-LED-Headlight-High-Low-Beam-Light-Bulbs-Lamps-White-/183153142620) --- [ ] (https://www.ebay.com/itm/Alla-Lighting-8000lm-H9-LED-Headlight-Headlamp-High-Beam-Light-Bulbs-Lamps-2pcs-/183154657634) --- [ ] (https://www. 1995 LAND ROVER RANGE ROVER(25th Anniversary Edition). 1995 LAND ROVER RANGE ROVER(SE). 1996-2002 LAND ROVER RANGE ROVER. 9003:LOW BEAM,2 pcs. 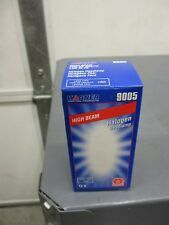 9005:HIGH BEAM,2 pcs. After sale. Other Auto Parts. LED Lights. 1995 LAND ROVER RANGE ROVER(25th Anniversary Edition). 1995 LAND ROVER RANGE ROVER(SE). 1996-2002 LAND ROVER RANGE ROVER. BP9005TVX:Headlight Bulb(High Beam),2 pcs. BP9003TVX:Headlight Bulb(Low Beam),2 pcs. Authorized Wagner Dealer. Fast & Free Shipping! BP9005BLX2:Headlight Bulb(High Beam),2 pcs. Part number:BP9005BLX2,BP9003BLX2,BPH1BLX2. 1995 LAND ROVER RANGE ROVER(25th Anniversary Edition). 1995 LAND ROVER RANGE ROVER(SE). 1996-2002 LAND ROVER RANGE ROVER. 1995 LAND ROVER RANGE ROVER(25th Anniversary Edition). 1995 LAND ROVER RANGE ROVER(SE). 1996-2002 LAND ROVER RANGE ROVER. BP9003ND:LOW BEAM,2 pcs. BP9005ND:HIGH BEAM,2 pcs. After sale. Other Auto Parts. 1995 LAND ROVER RANGE ROVER(25th Anniversary Edition). 1995 LAND ROVER RANGE ROVER(SE). 1996-2002 LAND ROVER RANGE ROVER. BP9005ND2:Headlight Bulb(High Beam),2 pcs. BP9003ND2:Headlight Bulb(Low Beam),2 pcs. Specification LED type: Each bulb has 2 piece LED chips Warranty: "ONE YEAR" guaranteed on manufacturer quality. Package: 2 pieces 9005/HB3 LED bulbs. Lighting Output: 8000 lumens function;Waterproof: IP67. Voltage:12V to 24V. Color:6000K White. Cross Reference: 9005/HB3.Easy installation. NOTE: The Decoder might be needed for some vehicle to prevent the dashboard error code Uesd for Headlight Kit/Fog Light Pls check the compatibility before purchase or send us Ebay message if you are not sure. Please note:. CSP technology eliminates the traditional submount to directly attach the LED die to the PCB, allowing for overall system cost reductions. Always check Sylvania lamp guide for a more accurate reference. D1S:Headlight Bulb(H/L Beam),2 pcs. 3457NA:Turn Signal Light Bulb(Front),2 pcs. After sale. Other Auto Parts. LED Lights. Shocks&Struts. Brakes Disc. People who viewed this item also viewed. Portions of the part information on this page have been provided by WHI Solutions, Inc. Warranty Type: Manufacturer Warranty. WARRANTYWarranty Duration: 1 Year. Installation by qualified personnel only. About Wagner. Seecomprehensive buying guide. DOT/SAE Compliant. Up to 3400K. Maximum Viewing Area.